Five people have died and 21 others have been hospitalized in a listeria outbreak linked to caramel apples, federal health officials said today..
A total of 28 people infected with listeria have been reported from 10 states, according to a statement from the U.S. Centers for Disease Control. Eleven of the cases are in the Midwest: five in Missouri, four in Minnesota and two in Wisconsin. I often wondered, “How long have these plaster-encased rotten apples been around on the shelves?” when I saw them in supermarkets. Anyone who likes caramel apples should make their own at home. I like that caramel dip and a sweet tart apple like Jonathan, my fav. If you buy them at the store, how can you be sure they don't have listeria or some other problem? Five dead are rather shocking. I grew my own apples for years but most years I had to cut and cut because I didn't spray them. My mother loves them. I prefer them fresh, even if some are very fancy with all kinds of chocolate and nuts on them. We first saw them I think 20 years ago, when we met up in NYC for Christmas time. We went to Saks and there they were on display tables - but the common ones today are pale imitations. They were BIG, and absolutely encapsulated in choc and caramel, etc. This matches up with the story my husband just told me of a lawsuit over Bob Evans’ food killing a couple, allegedly. Have to see if it is in here. There’s nothing like apples from the tree in your own backyard! Nothing compares to the strangely increasingly rare Winesap (Stayman, if you want to be technical). Unbelievable apple for eating and cooking, everything. Tart, juicy, crispy. I cannot believe how rare they are now. As a youth they were quite prevalent around here. 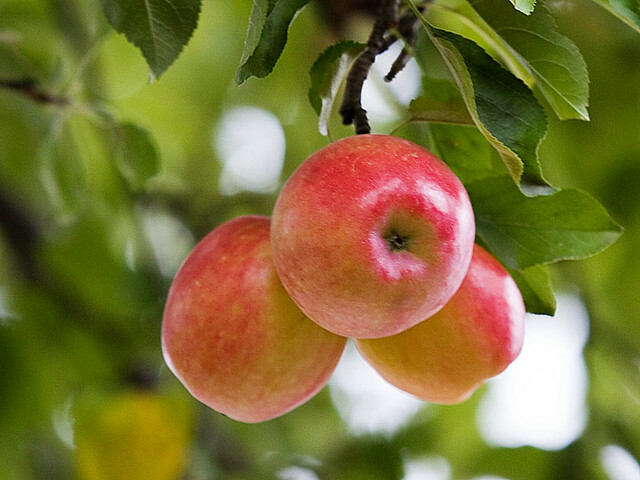 Stayman is a variety of the Winesap. I was having similar thoughts in the produce aisle today. The Winesap was my dad’s preferred apple. miserare, I miss my tree. It was a Jonadel. I didn't think the apples that tasty for eating but they were wonderful for cooking. Some years they didn't get wormy and not all did. People would stop and pick them up, guys in company vehicles lol. Others would ask for bags of them. They were especially desirable because I didn't spray them. The tree ended up with a big Y. Lost the north half in a storm. The other half succumbed to being knocked down when my huge tree dropped a large limb. I finally had the big soft maple cut down but my back yard will never be as nice again. Still it's a relief when it storms. I would pick a plain Jonathan or something you suggested if I knew what they tasted like. I've got a couple Braeburns in the fridge, haven't cut into them yet. I just hate peeling apples and I can't chew them very well these days. OlLine Rebel, your screen name is hard to read. I don't know too much about apples other than I don't generally like the store apples. My parents used to go to an orchard that still is in business. I grabbed a couple bags of Jonathans from them at the store; they didn't last long. My mother liked Northern Spy. They only produce every other year and are green. But they are big and wonderful for baking. I should eat an apple every day. I usually get Granny Smith if I want to cook something but they aren't the best. Some are saying to use a combination of different apples in pies, etc. No wonder. I used to like Yellow Deliicious but they're usually green in the store. The one I just hate are what everybody buys. Red Delicious. Guess it ships well. I won't knowingly eat the things. 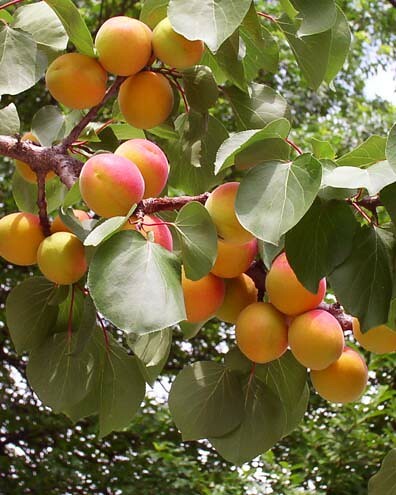 What I really miss is my Moorpark apricot tree. I got a chance to get it cut down free by the utility company so I let it go. Many years it would succumb to late frosts. So I was thinking about getting a Sungold and a Moongold; you have to have two, but I don't have a good place for them except in front on the grassy part by the street. If I weren't getting so old, I would do it. Maybe I will do it anyway. Dogs will pi$$ on them though. Like anything else I plant close to the sidewalk in front. Like some nice daylilies, not those orange ones that pop up everywhere around here. Dogs or not dragging water out there has pretty much ruined them. I miss gardening but my back is totally shot and I don't have any family that will help; one daughter but can't count on it. So I gave it up and propagated a beautiful geranium my daughter gave me. I can still do that. They were talking about growing tomatoes inside. I'll talk about tomatoes some other time. These were once in my small backyard, Moorpark Apricots (somebody stole these as I was waiting for them to perfectly ripen), Northstar Cherry, Jonadel Apples. Actually I planted every one of these trees myself and a few others. It's tedious to upload and get the code for all that stuff, don't bother with it very often. I should have waited and posted these to the gardening thread. I just looked up that story about the meatloaf. I knew there was a reason I don't like Bob Evan's restaurants. Actually, while I've never gotten sick from eating BE's places, I didn't like the food both times we ate there. But what my wife and I remember most about BE's is an event that happened at one BE's in northern Michigan. It concerned an extremely grumpy, old woman and her son(?) who had taken his mother out for dinner. The old biddy loudly complained about everything from the moment she arrived until we left. Her son, who was not real young either, could not assuage her ranting and raving. My wife and I still have a big giggle about that incident. I’ve done that and then dipped the apples in chopped nuts. Thanks for the suggestion. . .didn’t think about that! You can make caramel apple dip by just putting an unopened can of sweetened condensed milk in a crock pot and topping it off with 3 or mor inches of war. Cook it on high for 7 hours and then open the can... not instant, but really easy. Red delicious were awful for a while but they have improved them enormously. A big orchard near us in the Midwest planted hundreds one year and a few years later we finaly got to pick that field, but the apples were really bland and without fragrance, so we didn’t want to come back - until the third year when we saw the orchard owner had torn them all out and was replacing them. A lot of groceries started getting bad delicious apples for some years, I guess most places didn’t have the sense to pull the bad stock out. 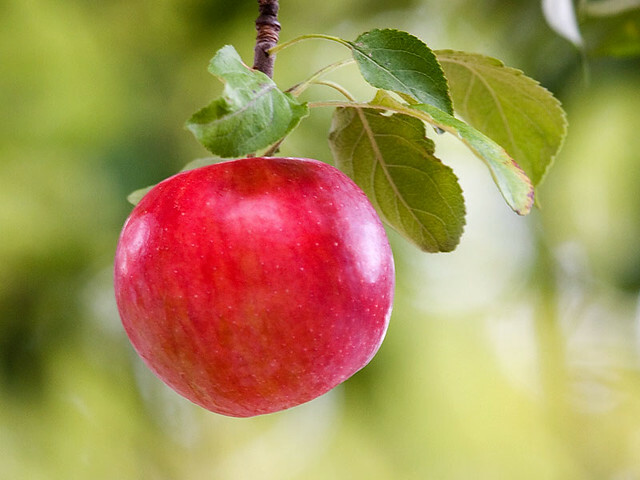 Few things can beat a winesap for cooking because of their spiciness, but a jonalicious or a johnagold is really good for cooking and eating too, taking the best traits from both parents, and very fragrant. We had an old standard jonalicious up north that seemed never to produce much. My Dad went out to it one day as a joke [ or maybe not] and and threatened it with an axe, he slapped it on the bark several times and then stomped back through the snow to the house. That spring it bloomed like crazy and it produced some of the best apples ever. 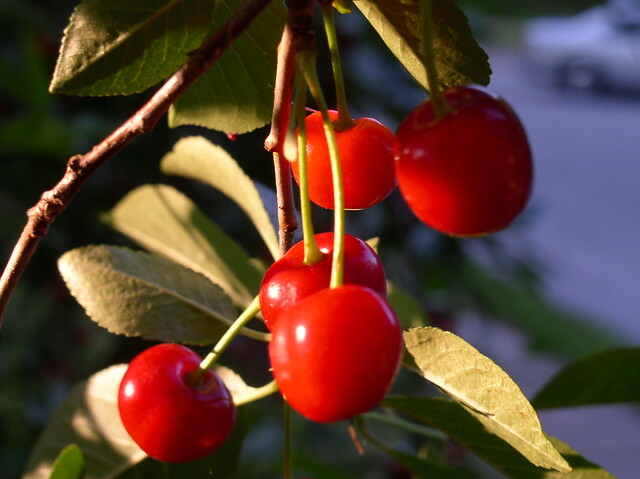 Every year after that it did very well though there were worm issues until we took some red croquet balls and covered them with tanglefoot and hung them in the trees. Those caught a lot of coddling moths and quality was much improved. Of course the apples tasted so nice we got to where we didn’t care much about the worms anyway- just don’t look and you’ll never know. Fujis were great for a while but I’ve gotten some bad ones lately- they descend from a tree with rich tasting apples given to Thomas Jefferson by the French ambassador and were crossed with something else by the Japanese, making them delightfully crispy. The craze right now is Pink Lady but I think it’s more of an eating apple. Haven’t tried them yet because I’m too cheap and just buy unmarked juicing apples to avoid the wax preservative because I love the skins. They are almost always good apples, ii guess they jumble up small lots so you get a little variety.